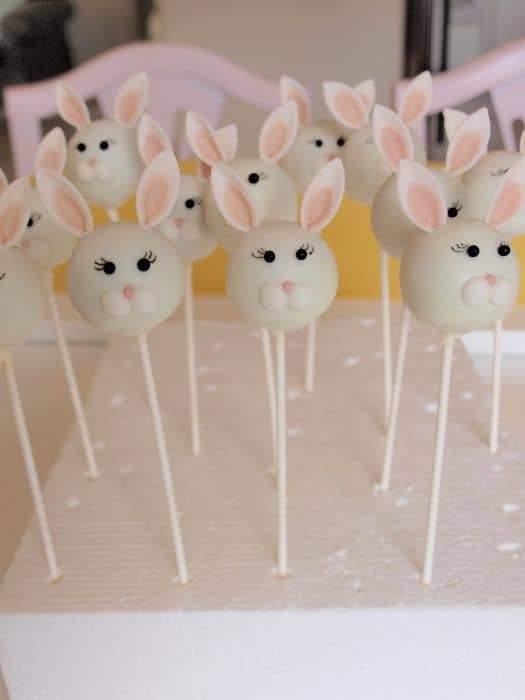 Easter is less than 2 weeks away, and for those looking beyond the store-bought Easter eggs and chocolate bunnies, cake pops are a new treat that can be decorated in dozens of charming patterns to bring new life to this sweet holiday. 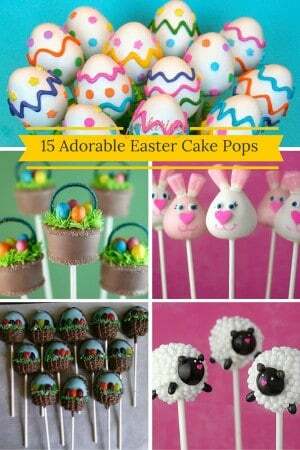 Bunnies, chicks, and baskets are just a few of the Easter cake pop ideas that can become part of a new, tasty Easter tradition. 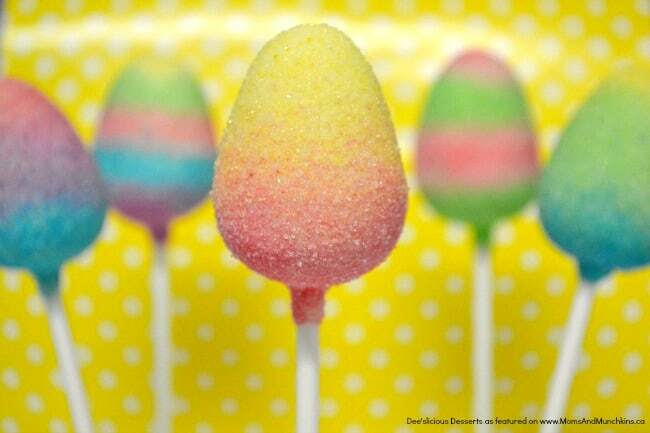 Pink Bunny Corn, an Easter replacement for the Halloween candy corn, make the perfect ears for strawberry, egg-shaped bunny pops, complete with heart-shaped sprinkle noses. 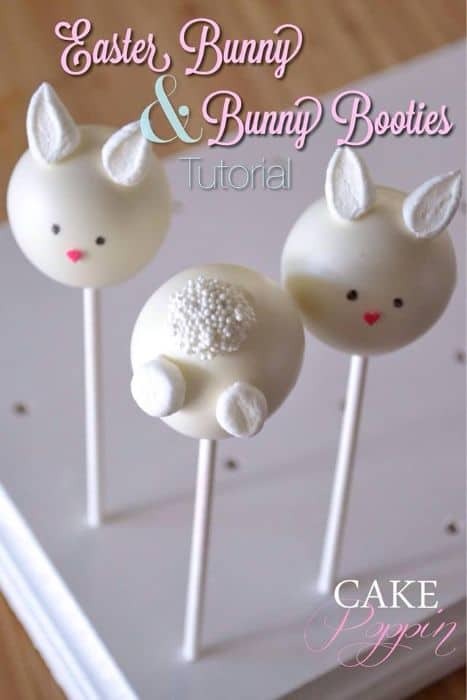 Mini marshmallows cut in half become pointy ears and little round feet on cute cake pop bunnies, and white chocolate and sprinkles cover a little M&M tail. 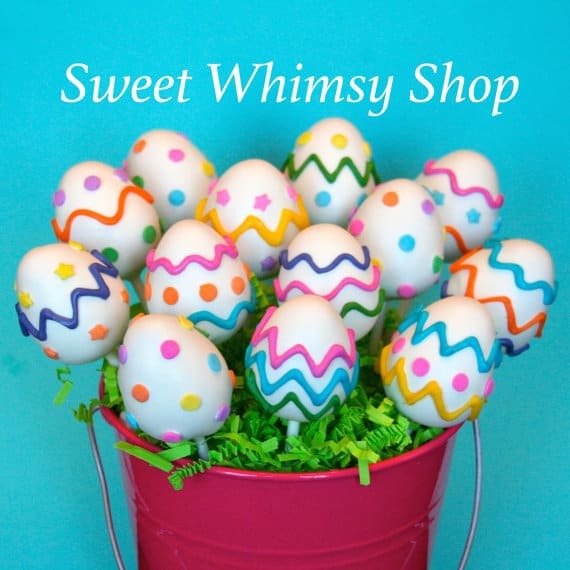 These simple eggs use nothing more than white sugar and a few different shades of food coloring for their sparkling outer layer. 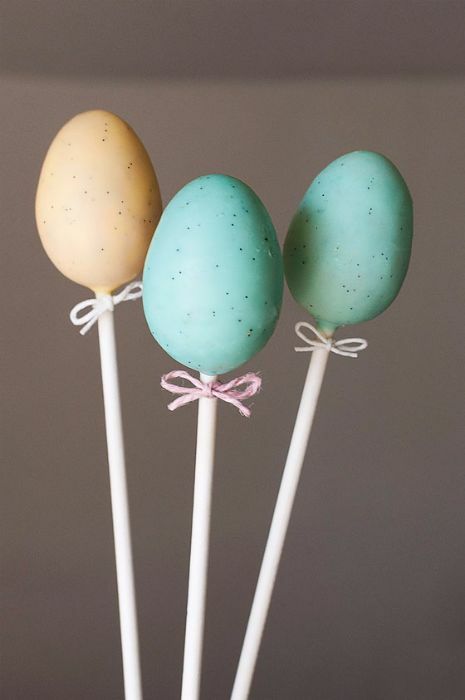 The seeds of a few vanilla beans add a tasty speckled look to these colorful cake pop eggs, with pretty twine tied on the stick in a festive Easter bow. 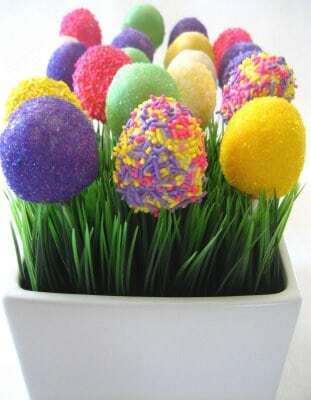 For those with no time for Easter baking, these pretty eggs can be bought both individually, or as a lovely bouquet in a faux grass-filled container for a centerpiece. 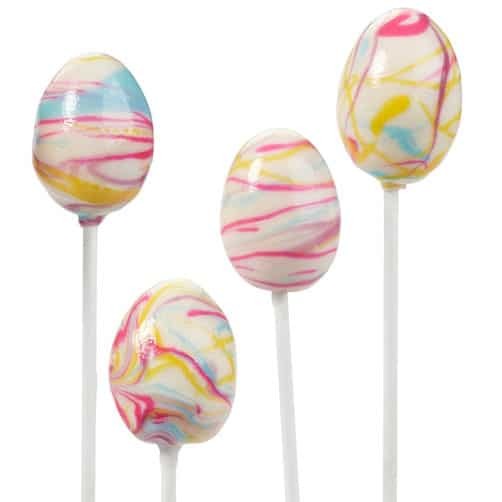 A white coating drizzled with blue, yellow, and pink candy melts create an Easter treat that any child of the 60’s will adore. These adorable egg cake pops can be purchased individually wrapped, to be shared with a dozen loved ones, or kept together to make a tasty centepiece for Easter dinner. 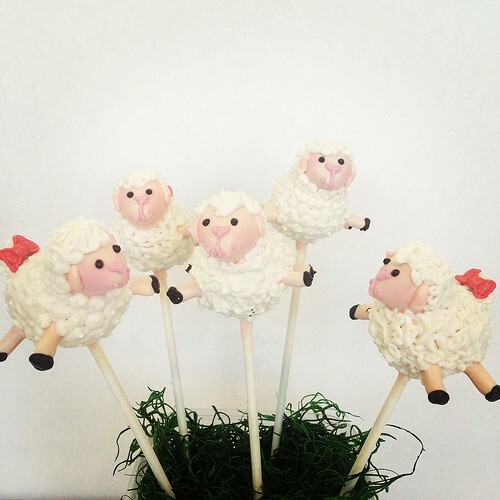 If the family is tired of the traditional bunnies and eggs, try these adorable sheep pops adorned with festive bows for a sweet new design for Easter. 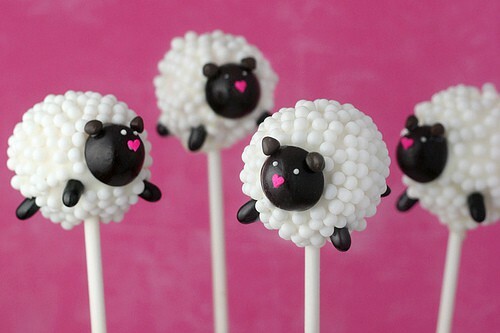 The wool on these sheep is made from sugar pearls, giving a surprising crunch to the fluffy-looking bodies, and the heads and legs are delicious black licorice buttons. 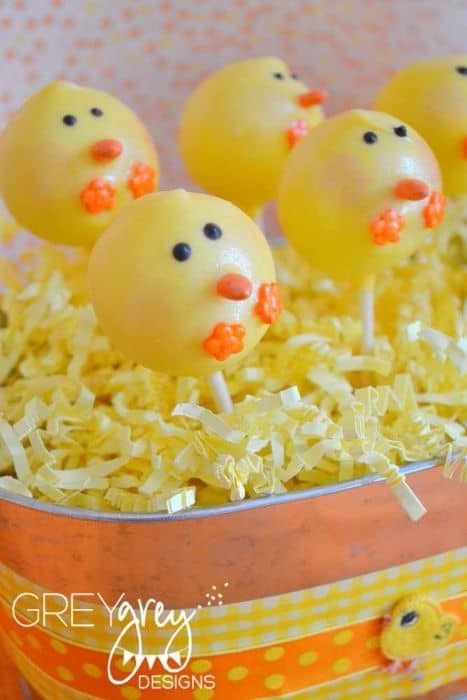 These cute little chicks look great standing up, but have to be turned upside down to be enjoyed, from their tiny feet to their adorable heads. 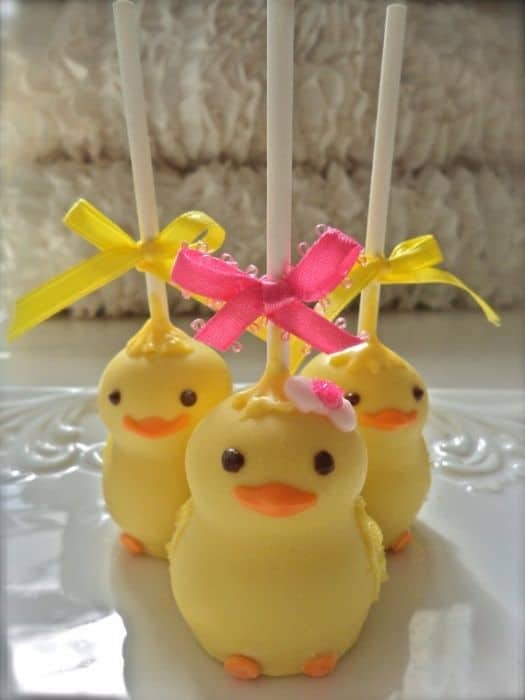 When time, or talent, is running short, these smiling chicks and their festive bows can be shipped in to impress all the guests at Easter dinner. 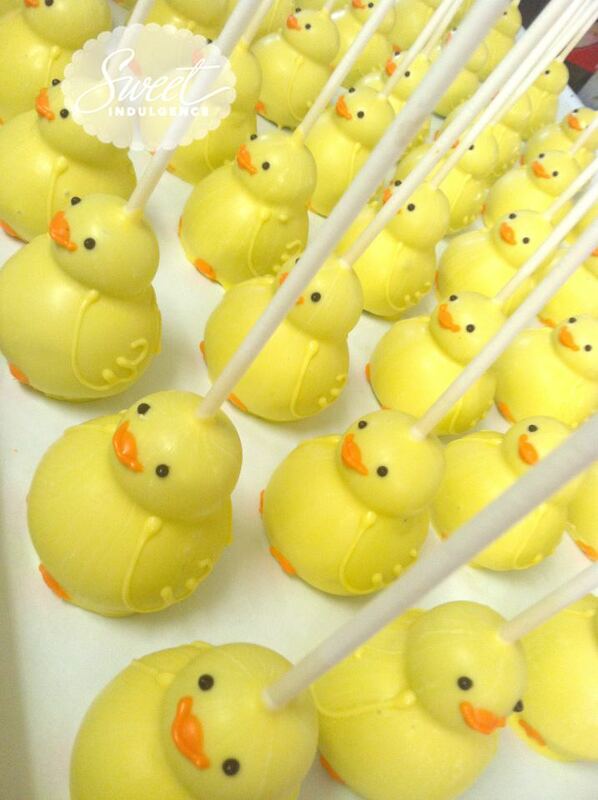 The lemon cake in these pops is a perfect match for the yellow coating, and a sprinkling of luster dust makes them shine like the sun. 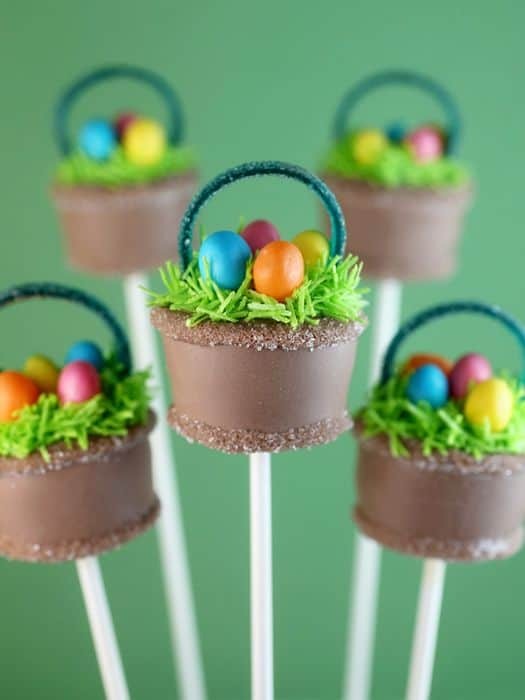 These adorable baskets come to life with sanding sugar edging, licorice belt handles, green shredded coconut for grass, and colorful jellybean eggs. 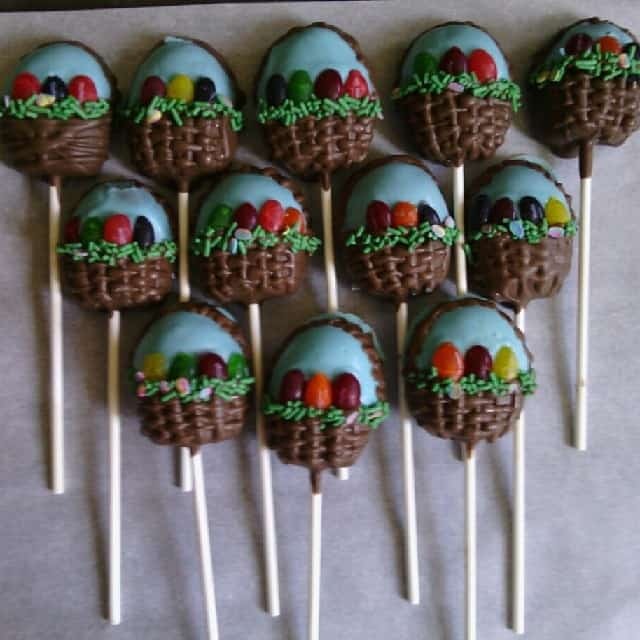 For those handy with a piping bag, a simple weaving pattern and a few egg-shaped candies make an easy, and delightful, chocolate Easter basket design. Easter is a holiday most known by children for its generous bunny distributing tasty treats for kiddies everywhere. 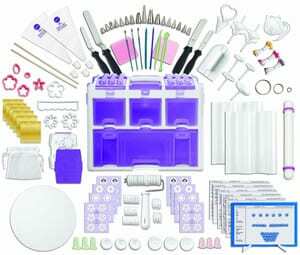 Though traditional chocolate bunnies and colored eggs will always have their place, new traditions and designs will draw out the bakers who may not have a place in the usual Easter egg hunt. 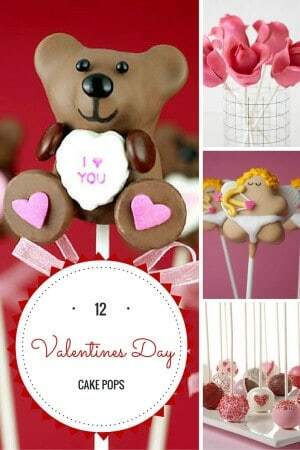 These cake pops will give those kitchen-dwellers a new treat to share with their families, not only to eat, but as an interesting conversational centerpiece or decoration. 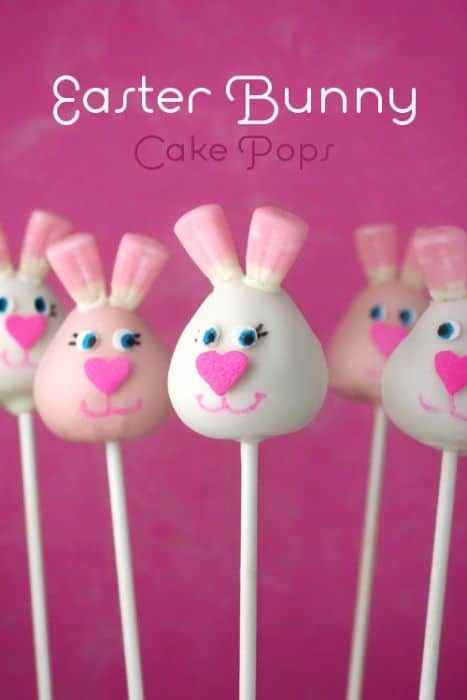 Until Easter dinner is over, that is, and the cake pop feast begins.